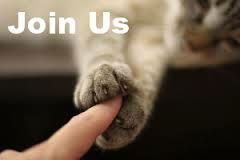 We are a small, friendly branch and we welcome new volunteers to help us to to help as many cats and kittens as we can in our area. We have the following vacancies (see menu to left) but would appreciate offers of help in other areas such as leding a hand at our coffee mornings and manning our fundraising and awareness stalls. If you feel that you could spare some time to assist us in our work, please do not hesitate to call us for further information.